The Harloff Standard Line Single Column 270 Medicine On Time Medication Cart is a multi-dose system designed to store up to 270 uniquely sized Medicine On Time (MOT) packaging. Awesome Design. 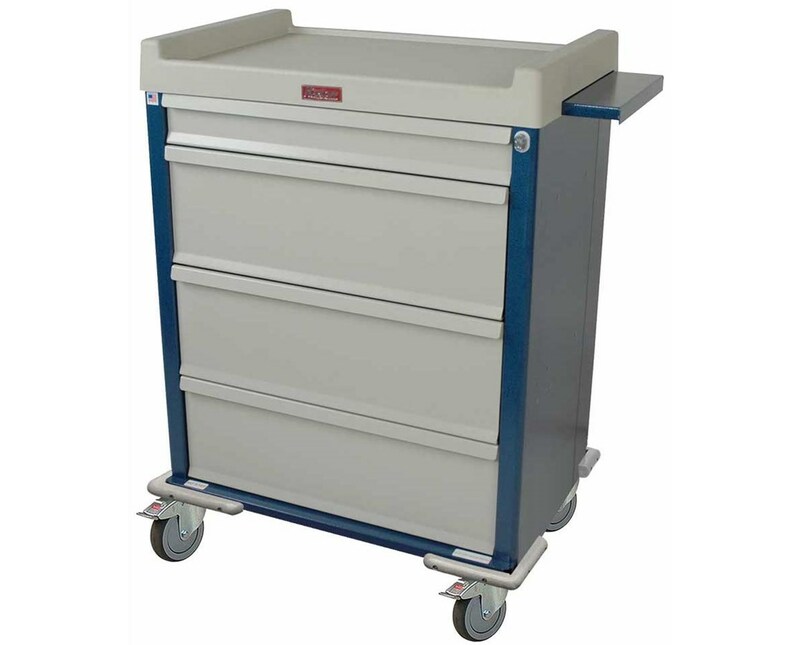 Constructed of all-steel and latex-free materials, the Standard Line Single Column 270 Medicine On Time Medication Cart has a durable, hard-baked powder coated finish with a wide selection of colors available. Each drawer is mounted on a ball-bearing, full extension slides and has an internal dimension of 29.5" W x 17" D. The cart features a painted pull-out shelf with a writing surface of 44-inches. Easy Transport. 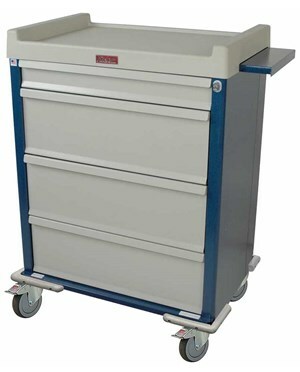 Mounted on 5" ball-bearing premium full swivel casters with one directional and two with toe-locking brakes, the Standard line Single Column 270 Medicine On Time Medication Cart has a plastic replaceable top with integrated push handles provides the control during the hassle-free movement around the facility. The cart's base has a full wrap-a-round vinyl bumper for added protection and increased stability.